Eighty years ago, the Women's International League for Peace and Freedom (WILPF) was founded in The Hague, as a protest against World War I. The participants of this first Congress went on a journey: they visited the governments of the waning nations, and a few neutral countries, to promote the end of the war, but met with deaf ears. 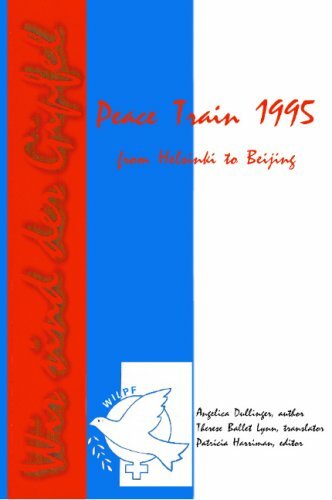 Bypassing nationalism, they attempted to find ways to end the horror of the war.The League accomplished what others didn't even dare to dream: a women's peace train to Beijing, with stops in the capitals of countries particularly affected by war. The source, or rather wellspring idea, came from one of the women interviewed in this book: Barbara Lochbilher, the international Secretary of the League, let us in on the secret that a woman, even without the support of wealth, can fulfill her dreams.This is the story of some of the participants.